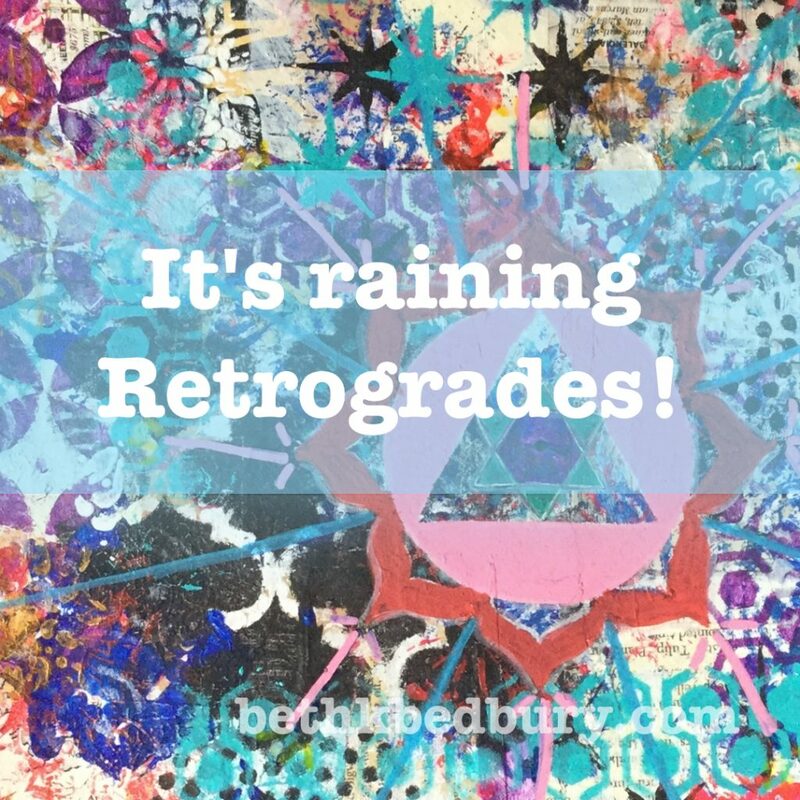 It is raining retrogrades for my birthday month! That’s a lot of planetary action being set into action in one month. All gonna go retrograde. EEK! Eek and more eek! Is what came to mind. Of course the next step was how can I put this to work for me? What will it do for me? The more you can bring in exploration the more things will make sense and ease can be brought in. No one wants to be a gelatinous ball of goo and at least not know why or how to fix it. Ceres is an asteroid and she was the goddess of grain and the harvest in Rome. Cereal comes from here name just in case you were wondering. Relationships and money issues can come up especially if you are not feeling secure with them. Jupiter the leader of the gods and deals with leadership skills or the lack of them. He can also be petty and temperamental. He can also help you get your head on straight and come up with some cool ideas. Pluto is the god of the underworld and death. You can feel overshadowed and left behind. Think of this planet like the Tower card. It will break you if you don’t learn how to bend. You want to be an aspen tree with Pluto not a rigid oak. Pluto is one of the more intense change influencers, the goal is to find a way to make this your super power. Saturn who is the father of the gods bringing to light issues with patriarchy and father type figures. It is also related to self discipline or the avoidance of it. This means get your act together or it is going to fly apart on you if you get lackadaisical. Want extra support pick up the It’s Raining Retrograde Package. A meditation you can use with all of them. Integration ritual you can use to release and integrate what’s happening in your life. This is available through May only and 30 percent off until April 9th. Get the card reveal, Webinar & Ritual invites, and other goodies in your inbox.